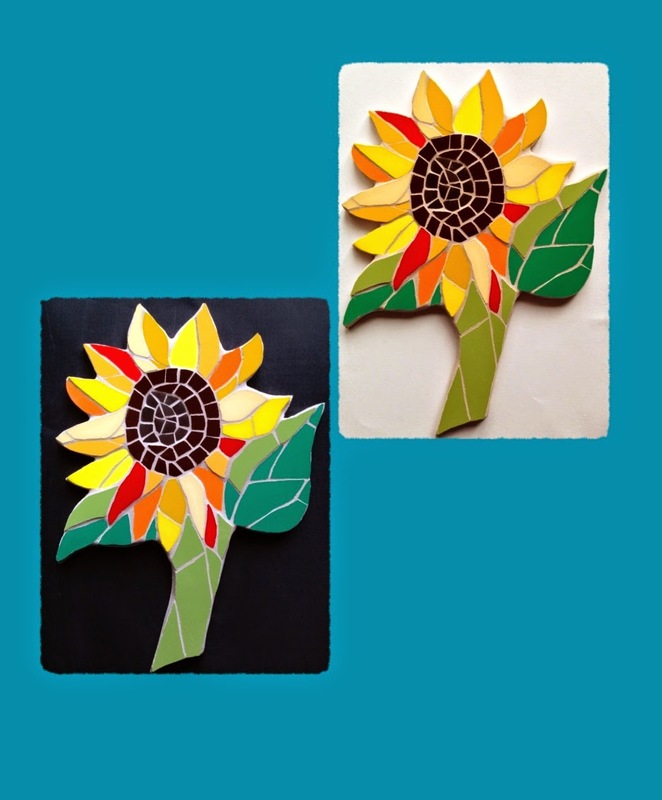 It is rather fitting that, as I write my blog about sunflowers, the sun is really shining (with a bit of warmth!) here in Bristol! 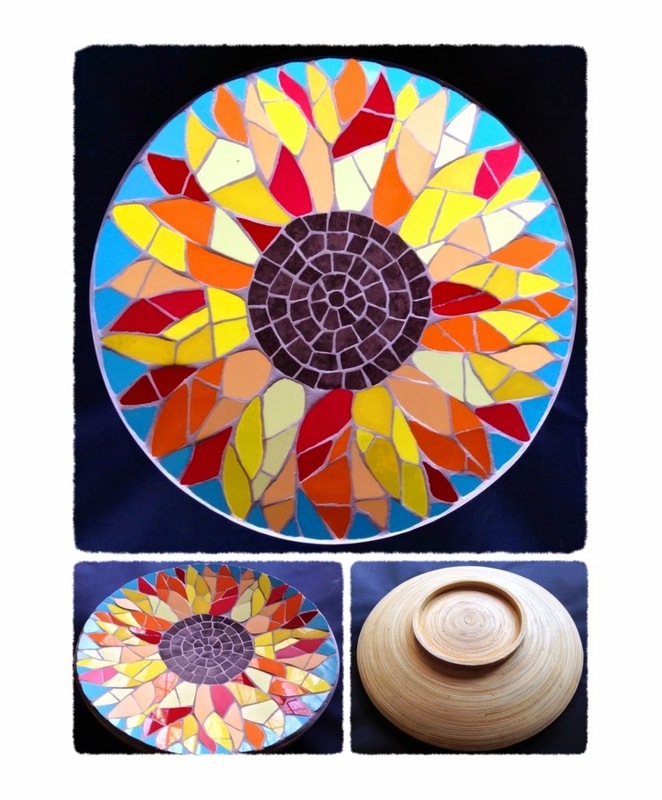 This week I made a sunflower bowl. I had to use the same thickness of tile for the mosaic, so it was as flat as possible and could be used practically as a bowl. I used extra glue so the tiles stuck really well on the slightly curved surface, varnished the sides and back, and sealed the mosaic, so it really is a useful bowl as well as being a work of art! Do have a watch of my short product film to get a feel of how it is in real life. 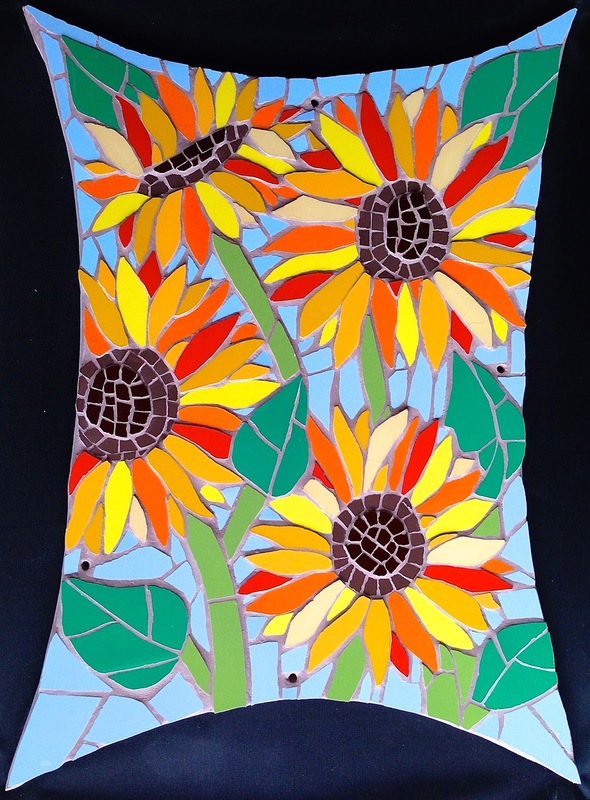 As my mosaics can be so hard to photograph, I am going to make more of these short no-frills films. Hello everyone, and welcome to my Friday blog! 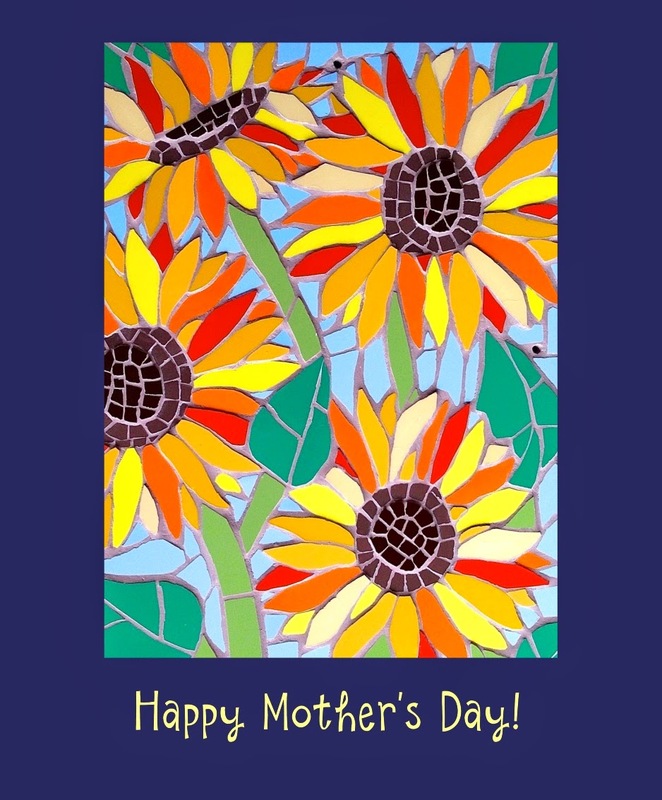 I love a good mosaic challenge, and I have certainly had one this week! 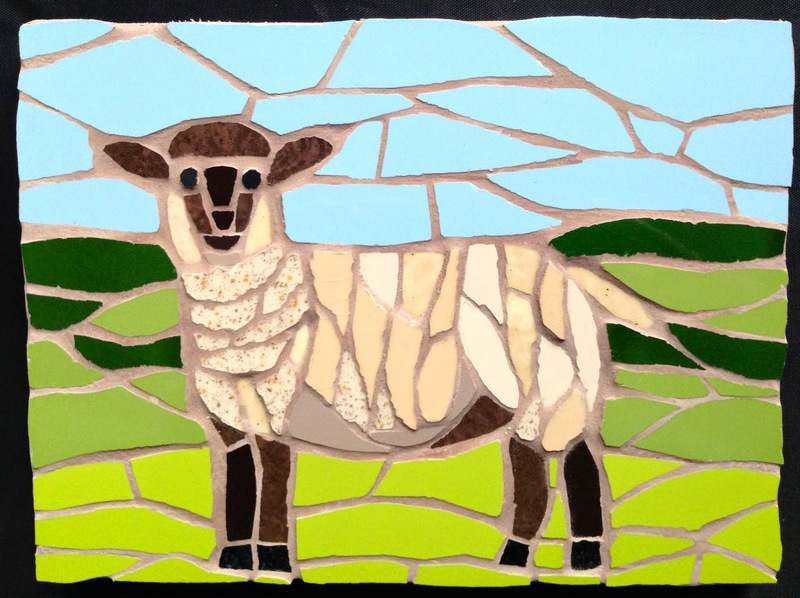 I was commissioned to make a mosaic of a sheep - which on the face of it doesn't sound too tricky .... My customer wanted a more realistic looking sheep rather than a cartoon Shaun the Sheep - like sheep! 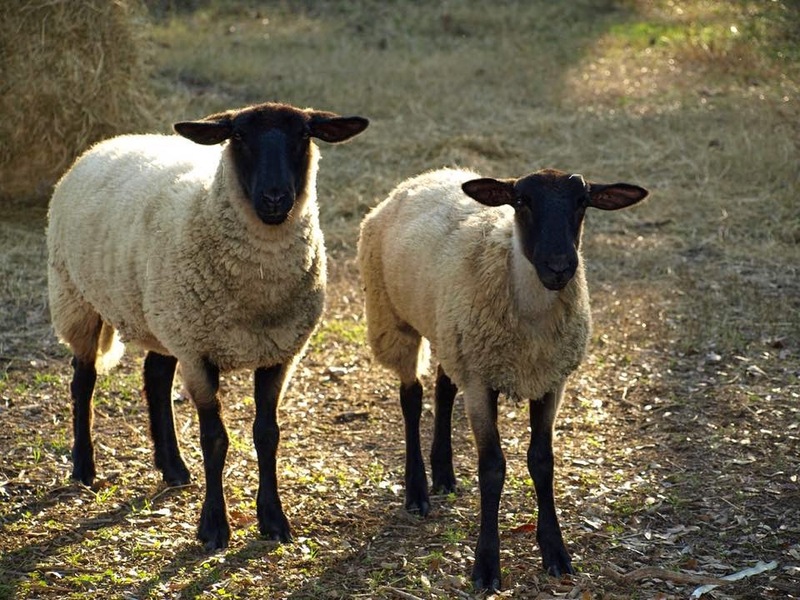 She sent me a few photos of the sort of sheep she was after, to use as a starting point. Once I had outlined the shape of the sheep and decided on four/five different tiles to use for the body, I was ready to start. 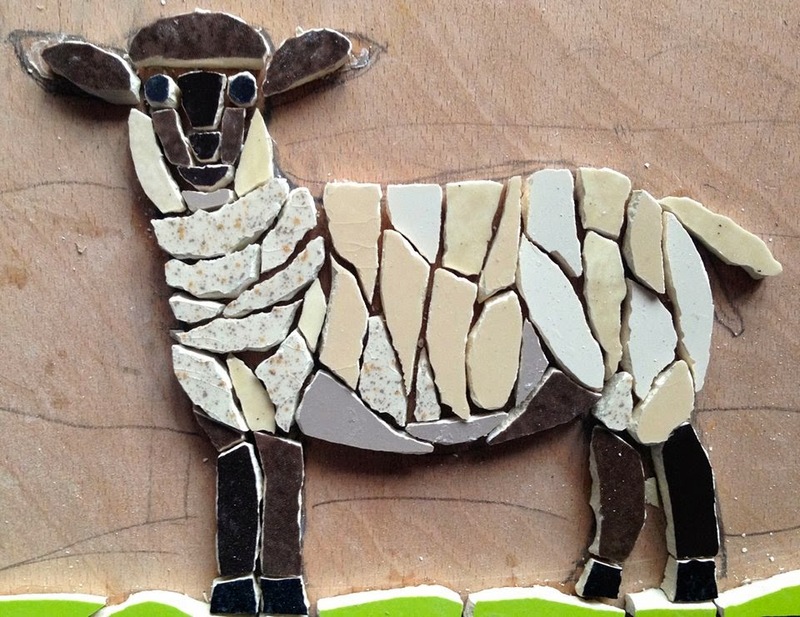 I looked closely at images of sheep on Google to see the direction the wool went on the sheep's body, and started to cut and stick my tiles accordingly. I had the perfect mottled/brown tile to replicate the different colours in the wool. I then used the shape of the tiles to make it look as real as possible. That went well, and I was pleased with the body. I always leave the head and face until last, so I can see what it would like on the body, if you know what I mean! Then started hours (literally!) of trying to get the face right - the eyes, snout, nose mouth - ooo it was tricky, but my Facebook followers www.facebook.com/FelicityBallmosaics.co.uk were a great help, confirming my suspicions that the mouth/nose were wrong in version 1 - see below. Start again! My breakthrough came when I looked closely to see sheep actually have a sort of triangular end of nose and quite a narrow length of nose. From then on, I didn't look back, and it came quite quickly. I think all the sheep I make in the future will have different faces (and characters!) but below will be the basic formula. And here he is finished - what do you think? 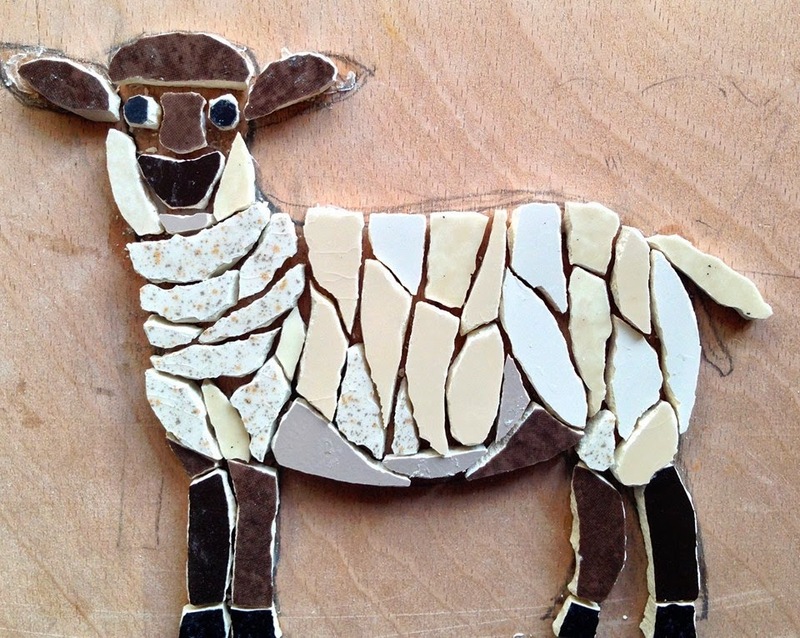 I am now happy to say that you can order a mosaic sheep from my Etsy shop www.etsy.com/uk/shop/FelicityBallmosaics - and each one will be a little bit different!